Vacation Bible School is an exciting week of 'school' at Bethlehem during the summer! Kids have fun while connecting to God’s Word in a way where the gospel message can speak into their hearts. Music, crafts, games, and the message of Jesus is learned in a new and exciting way. 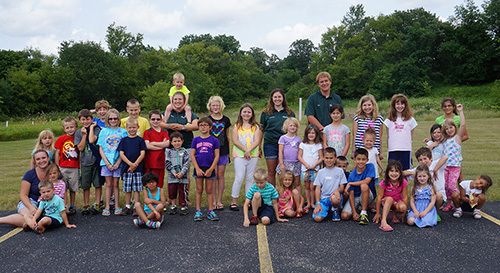 Leaders of VBS are students from Concordia College in Mequon. Stay tuned for 2018's theme!! VBS class enjoying a group picture.